Get insights on how Social Learning helps foster collaboration, enhance existing learning strategies, and step up the overall learning experience. Get insights about the concept of Social Learning, its benefits, how it can be used meaningfully in an organization to enhance collaborative learning, and some best practices that you can use. 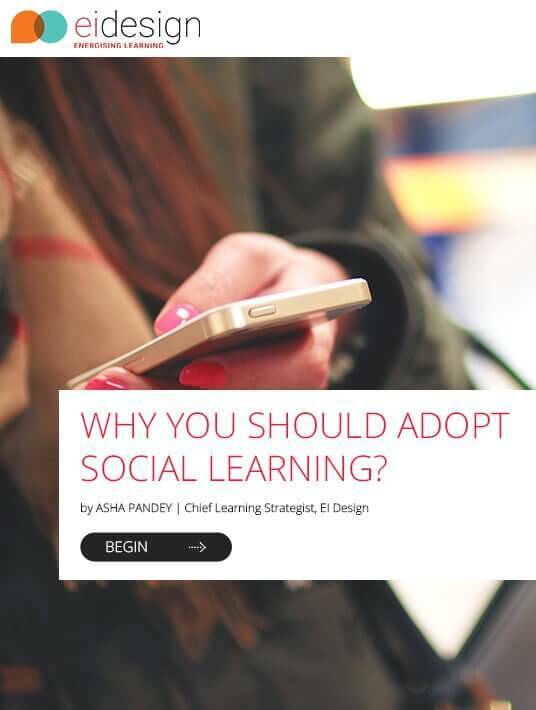 Get to know how Social Learning benefits learners as well as businesses and a comprehensive understanding of its background (through two theories). Get insights on how you can apply Social Learning in your organization, the value this will create, and the quantifiable gains that your organization will see by fostering collaborative learning. It facilitates the creation of a structured Social Learning framework. With Social Learning, one can accumulate informal content from learners and extract useful ideas and find solutions to problems that formal training may not be able to address. If you are considering integrating Social Learning in your online training strategy rather than following the traditional learning methods, you first need to clarify all the concepts and benefits involved, as well as the way to apply it in your organization.